Is there such a thing as Humanist Youth Work? O, ye of little faith. I’m away from IDYW’s nerve centre hidden in the foothills of Crete. For my sins I’m huddled in wet and windy Wigan, contemplating existence or wondering whether to go for a run. In fact I’ve made yet another cup of tea. Fortified thus I’ve turned my attention to a contribution I’m making to Youth & Policy’s ‘Faith’ conference this coming Wednesday in Bradford. I’m offering what I’m informed is a micro-talk, ten minutes’ musing on ‘No More Gods : Neither Marx nor Jesus’ – shades of a Stranglers’ hit for those of a certain age. And whilst thinking about my assertion I’ve come across this news story. In my little rant on Wednesday I will be pondering whether it would be acceptable or desirable to be labelled a humanist or atheist youth worker. If anyone is interested I could post my notes for your contemplation next week. The clue is in the name ‘Religious Studies’, I can’t see a queue of humanists waiting to be bracketed as religious, even though it is a faith. I shall of course await your notes. BUT – there is no such thing as humanist youth worker, a Christian youth worker, a Jewish youth worker… There are youth workers who happen to be Humanist, Christian, Jewish, Pagan and their worldview may be the influence for their career choice. Having spent many years ranting at people who refer to me as a Christian youth worker, the adjectival description is most commonly used as a negative descriptor to imply that my practice was somehow ‘other’ and thereby lesser. The focus is misapplied; those of intent in youth work recognise the young person as the focus and whoever, of whatever stripe, who see their need and are willing to work in answer to it, should do so without debilitating their efforts with arbitrary labels. Yes i was about to comment along a similar lines to Neal, above. I would state that religious affiliation/belief is a base upon which to view the world. 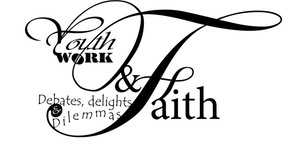 So i would say that there are Christian faith-based youth work, or even Humanist faith based youthwork. Without revealing the mysteries of my talk [!] I agree. I remember arguing long ago I am not a revolutionary youth worker, I happen to be a youth worker, who aspires to be a revolutionary. The first response is i hope so. This is because I do not think we can conceive of youth work in some kind of moral vacuum. I have been reflecting on this for some time and have come to the conclusion that Youth Work emerges and inevitably reflects to a greater or lesser extent the sociocultural and political context which gives rise to it. Youth Work cannot and should not be thought of a a free floating idea with its own essential values (I know this runs counter to the views of some) rather it is more usefully understood as a meaningful attempt at engaging young people in reflection on values attitudes and beliefs. In this sense ‘Humanist’ youth work would be recognised by the disposition and orientation of those who practice it and the places and spaces they choose to engage in it. The second response is, the dominant discourse of professional youth Work since Albemarle has been ‘Humanist’, even if not labelled in those terms. The increasing use of prefixes such as Christian, Jewish, Muslim, etc. have been important in distinguishing key differences in the orientation of forms of youth work practice and provision which emerge from different traditions and context. These prefixes can also prove helpful when thinking critically about the direction of government policy towards sections of our society as well as providing a counter narrative in terms of ethics and moral authority. I hope the conference goes well and that the debate is fruitful.